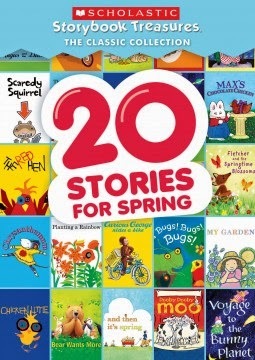 In 20 Stories For Spring, a new single disc release from Scholastic Classics, bunnies and chicks take over! Will Nickelodeon’s Max or Ruby find the Easter eggs in Max’s Chocolate Chicken? Children will delight as a crazy-eyed chicken and all his panicked friends try to run away from a falling sky in Chicken Little. And families can learn a fun baking recipe with The Red Hen!